Hello ! New releases from WAKA and Yuki. From today, 8 new items are available on sale at the main store. 4 of them are for ladies and the others are for men. Please check out new items for ladies as below. And 2 items for men are released. 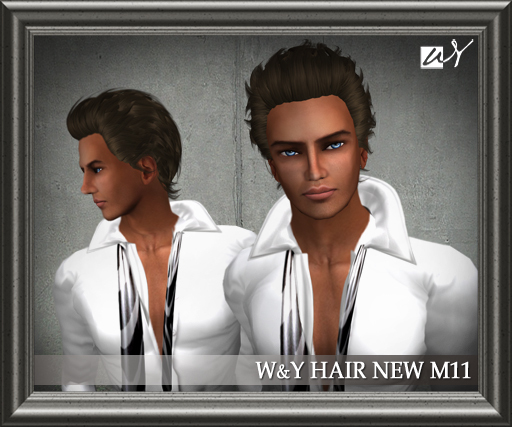 W&Y have released our first men’s hair base for use with Viewer 2.0. Until now hair bases have been drawn directly onto the skin. 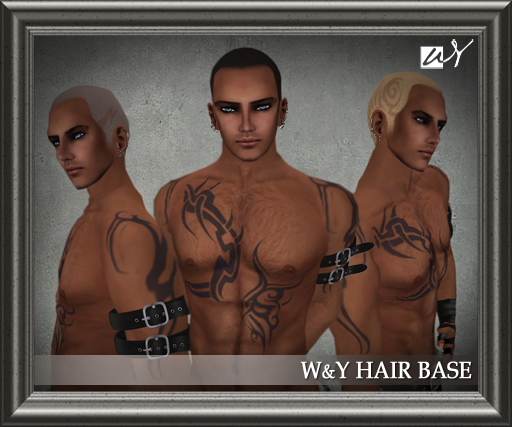 We are releasing these hair bases for the Tattoo layer in Viewer 2.0. 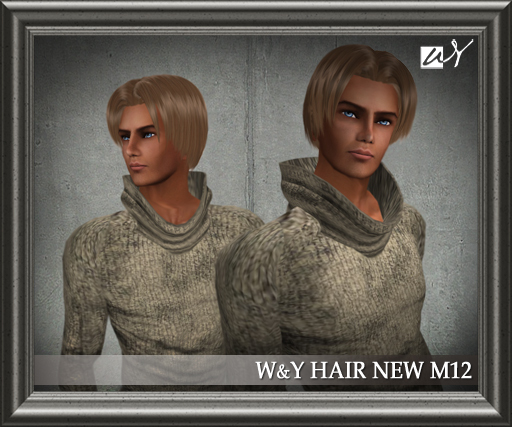 Attention : Please be aware that these hair bases are designed specifically to be worn with W&Y hairs and colours and are only for use with SL Viewer 2.0. Please be sure to try a Demo before making your purchase. 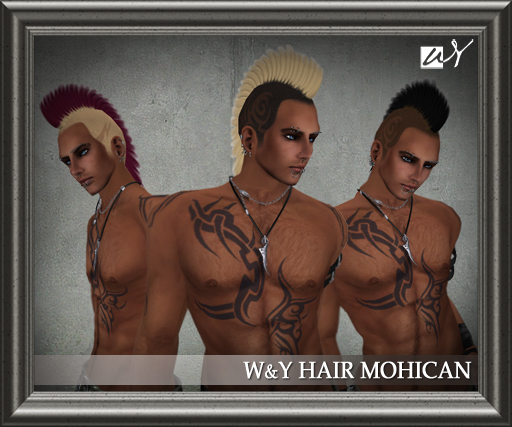 In addition, a mohawk style is available on sale, too. 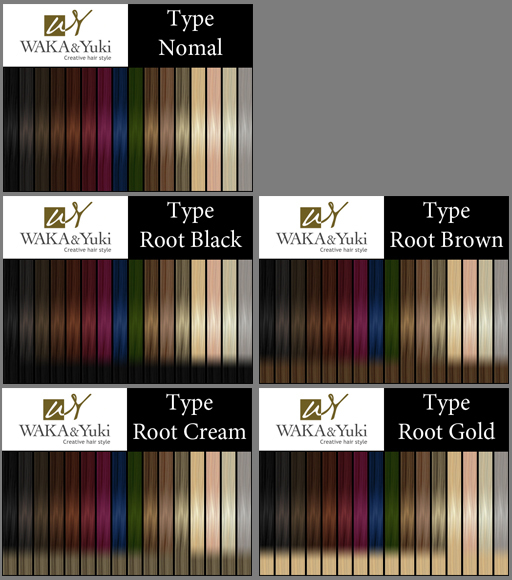 There are 5 types of mohawk styles due to root colors. （’Black’/’Brown’/’Cream’/’Gold’ as a root color is different from tip color, and ‘normal’ as root and tip are the same color). Every type includes 16 tip colors each. Please refer to the picture as below.